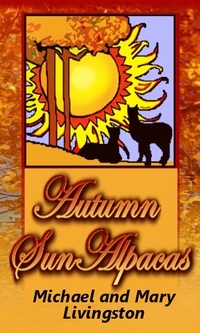 Golden Thunder was the most-talked-about lot offered in the 2011 AOBA National Auction, and one look will tell you why. 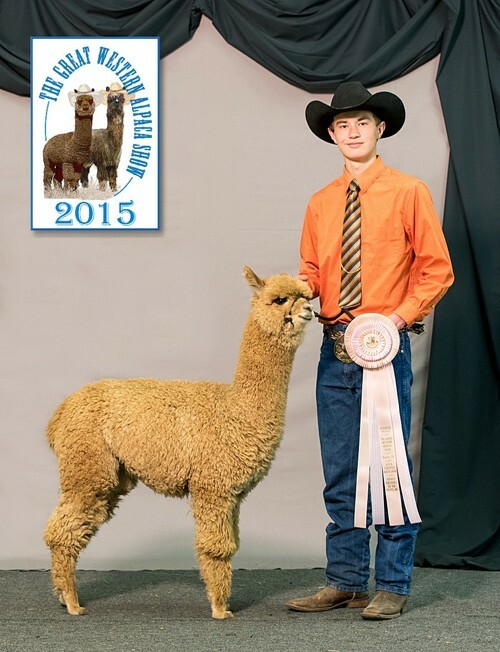 With his rich, dense, abundant fleece on a solid frame, strong typey head, stately bearing and air of confidence, Thunder definitely stands out in a crowd. 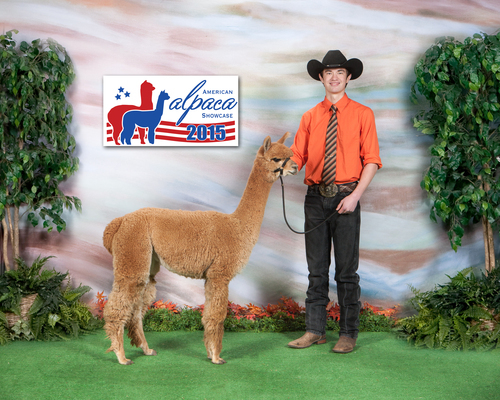 Patriot's Promise is our son's first alpaca! :) As a newborn she had gotten herself wedged behind a wall, and Connor was persistent and finding out what that noise was! 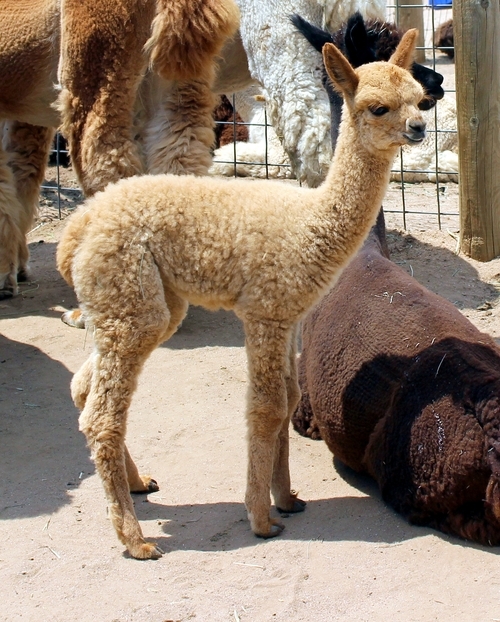 When he quickly discovered that it was a cria, we were able to get her out in time so that she suffered no health or medical issues! She just went right to nursing and has taken off since. 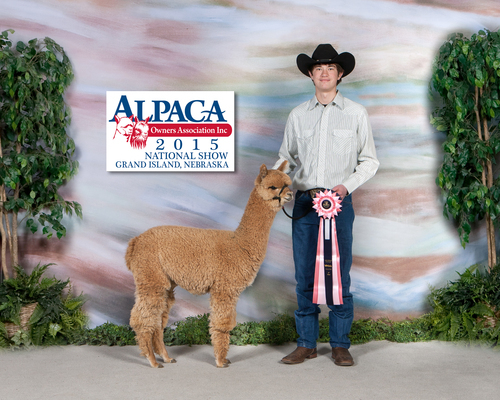 Connor's first alpaca was then a girl (instead of the expected pick of the boys). So, he is set on building his own herd! 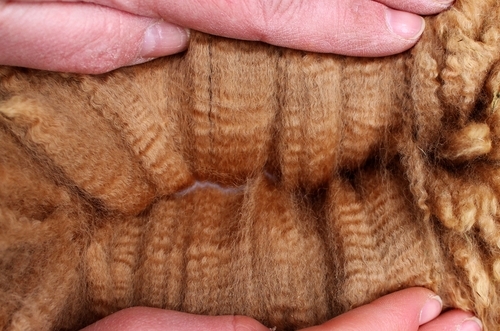 This girl has fine, fine fleece with a lovely brightness and small, even crimp style. 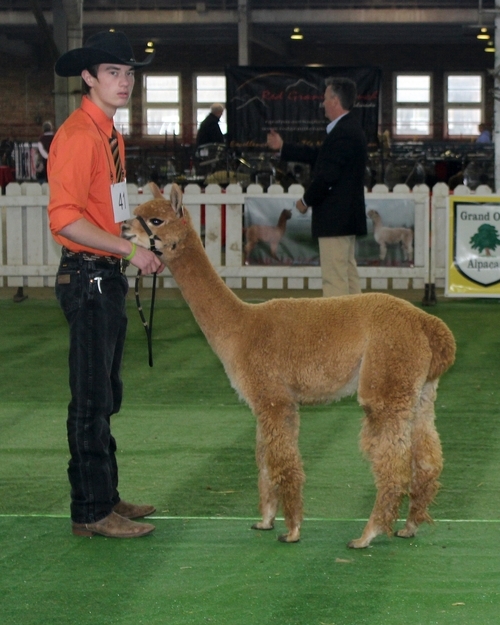 For her first cria, she was bred to our reserve light champion, Supermassive, to bring that massive bone ("rooted to the ground" was a judge's description at show), very full coverage and bold 'french fry' crimp to the mix. Her beautiful fawn boy was just born 7/23 and look just like her in coloration.... now we are looking for signs of another 'supermassive' looking male. ...And the signs are here! This male has awesome crimpy, density, staple, shine, and coverage. This boy will be a sure thing for our show ring and yours. Don't wait to ask about this male as he will garner interest!